A guideline for using EnterpriseSMS® for virtualizing performance monitoring and management. Agile enterprises stay relevant, innovative, and maximize customer value. But, being agile requires great, timely, and accurate information about the state of the enterprise; agility demands actionable business intelligence. Agile use of actionable business intelligence results in faster recognition and correction of problems, reduction of stakeholder manipulation of results, reduced OPEX, better targeted CAPEX, and improved EBITDA performance. Insufficient agility arises from delays and inaccuracies in activity reporting, bias in analysis at different levels within the organization using derived or interpreted information, and unreliable analysis of amalgamated data sets. This leads to delayed or missed opportunities to identify key trends, capitalize on performance targets within a critical timeframe or prevent problems. The lack of agility results in inefficient operations and delayed decision-making. Thus, the enterprise loses relevance and customer value. The above figure illustrates how management structures can delay and alter the information flow from one level in an organization to another. It takes time for each step in the process to receive, assimilate, reformat for presentation, and deliver the information it receives. This is a necessary function but it has consequences. In addition to forcing decision makers to operate based on stale information, the costs of reprocessing information and the potentially intangible costs associated with delays are always present. Errors and misunderstandings at every level will always contribute to less than the best outcomes in support of corporate policies. Truly agile solutions must utilize real-time information collected with as little bias as possible. It is best to collect this information at the source. Software that collects this information must be able to accurately model and thus “virtualize” enterprise performance monitoring & management. It must maintain the virtual enterprise in real time. The virtual enterprise then becomes a solid foundation for analysis, reporting, and operating the enterprise. For example, commands sent to the virtual enterprise must be implemented in the real enterprise. Such software must easily handle the diverse sources of a modern enterprise, it must be scalable to meet the transaction volumes of the enterprise, it must be capable of many, many complex calculations at high rates to generate required information, it must be able to record all of the activities and events, and it must support powerful presentation tools that package and display results so that they may be easily used by those who receive them. The complexities of a modern business mean that there are many sources, many rules of analysis and many ways to distribute results. Collection, processing, storing, and distribution in real-time must be central to the core competencies of the solution. However, since each solution is unique, there must be a well-defined process to develop specifications for the deployment of capable software. Building an agile business intelligence solution first means identifying business functions of interest. Each function must be clearly understood. The source information required to perform critical functions, those who perform the work (at potentially many levels), and the required output (performance criteria) to be delivered in real-time must be carefully coordinated. In the figure below, an enterprise function is illustrated by a block. The inputs and outputs by role are illustrated. Note that user needs are likely to vary by organization level so the analysis process must takes such issues under consideration. A compilation of all business functions that are within the scope of the project to create enterprise agility is the beginning and it is the foundation for the next step. As the users, the source technologies and data items, and the needed results and delivery mechanisms are detailed, a granular picture of the solution requirements is created. This provides information about the data gathering requirements the solution must support. The next step is to understand all of the information that individual workers require. Workers typically perform multiple functions within the enterprise so one must look at workers in terms of all the functions they perform. This is the worker role view. In the figure below, an operator in a command center might be involved in monitoring activity and conditions across a number of different enterprise systems as illustrated below. A picture can be constructed for each role in the enterprise. The compilation of the results of this analysis provides a picture of all of the information sources that an employee requires. It also provides a picture of all the reports, queries, messages and controls that the employee requires. This is a baseline for the agile solution. Similarly, since the information derived from a technology may used at many levels in the enterprise, it is also important to understand how the information flows from one user role to another. This understanding helps to identify post processing requirements, missing data items, and possibilities to optimize the solution. The figure at the right illustrates the concept of source information moving up the organization’s consumers. It in all of this it must be remembered that information needs are not static. Emergency situations, competitive threats, seasonal variations in the business process, and many other internal and external influences will alter requirements for information and its flow. It is essential that all possible information flows for all conceivable operating conditions be considered. Perhaps some will be discarded and others will be prioritized. The agile solution must be able support all of these requirements. The data must be collected and required calculations and user interfaces must be prototyped (e.g., modeled, then virtualized). Prototypes are easily vetted with users and finished solutions may be immediately placed into operation. The task of extracting real-time business intelligence is made easier when the process used to design the solution is naturally compatible with the architecture of the solution. EnterpriseSMS® (ESMS, which excels at extracting data from devices and subsystems, is also excellent at calculating specialized information on the fly and presenting information in real-time. Smart leadership understands that the ability to drill-down, in real-time, into business processes is essential to the delivery of actionable business intelligence. It recognizes that it must break the traditional information flows that create the problems as illustrated above figure. Enterprise support technologies today don’t usually extend to enterprise operations thus ensuring a lack of agility. However, EnterpriseSMS® provides the applications software needed to directly connect information to users at all levels. It is as though everything is within the line of sight of any user. 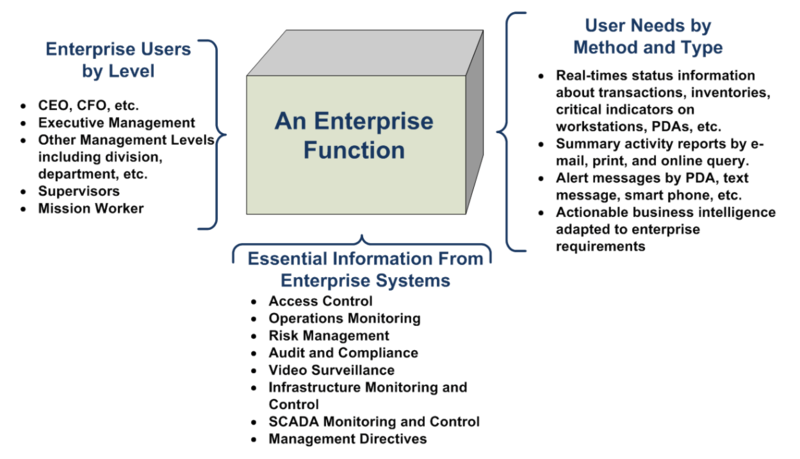 The figure at the right illustrates how business functions represented as applications are connected through EnterpriseSMS® to any kind of user. EnterpriseSMS® creates relationships between disparate elements of information transforming any real world collection of data into real-time actionable business intelligence and presents it according to the needs of each system manager, operator or user. The process of developing a business intelligence support system is significant in that many need to take the time to determine their needs. An enterprise is a collection of functions performed by employees filling roles using information directly produced by enterprise technologies or derived from that information. Real-time Software meaning real-time results. Highly Available applications so the solution may be depended upon at all times. Proven Installations reflecting its significant market experience. Customer Modifiable for many functions to improve adaptability to changing requirements. Multiply Redundant Databases that are always synchronized protecting the information and the capacity to operate. Distributed Processing of any function. Real-time Analysis and Reporting of results in any required format on any device anywhere. Event Data Collection on a distributed basis at high speed. Meaningful Dashboards to meet different user requirements. Short Training Time for users and administrators alike. Integrates With Many Data Gathering And Control Systems so that no data must be omitted from the business intelligence process. Single Seat Support design leverages unique staff skills by enabling remote interact with the system for support. 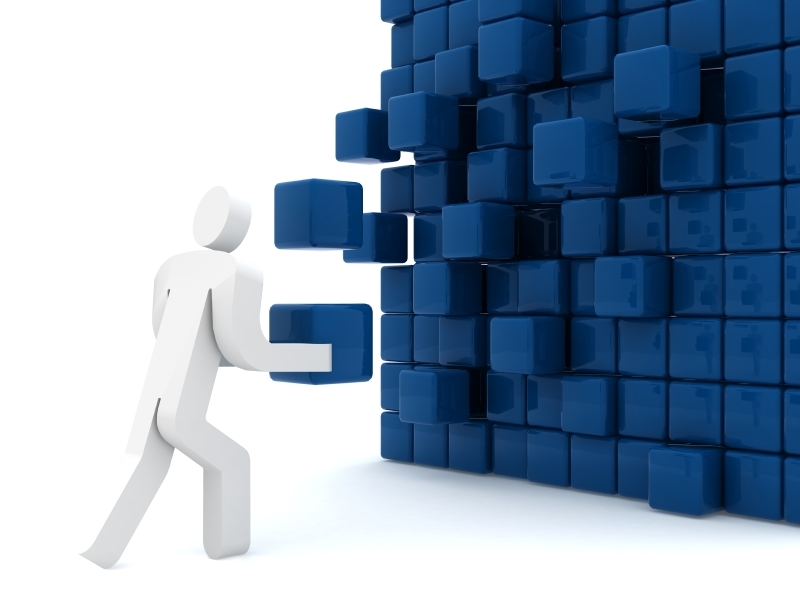 Building the virtualization of your enterprise is a big task but it is made dramatically easier with EnterpriseSMS®. Designers of business intelligence solutions can build their enterprises from the function blocks they develop. This step-by-step approach avoids the risks associated with supersized projects that frequently fail. Scope changes due to learning a long they way leading to budget and schedule problems are avoided with EnterpriseSMS® because it is a granular infrastructure that was designed to tackle these types of projects. 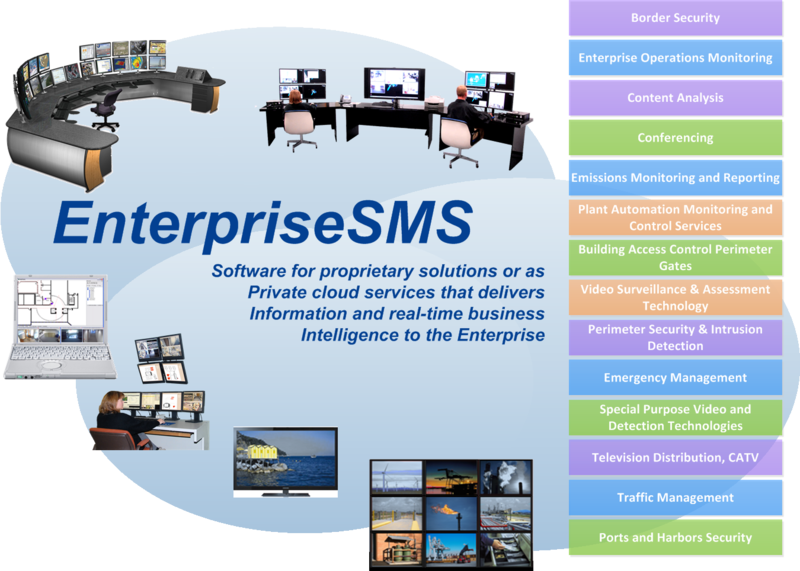 Visit www.commandsystems.com\contact_us to learn how to use EnterpriseSMS® to increase agility in your enterprise.